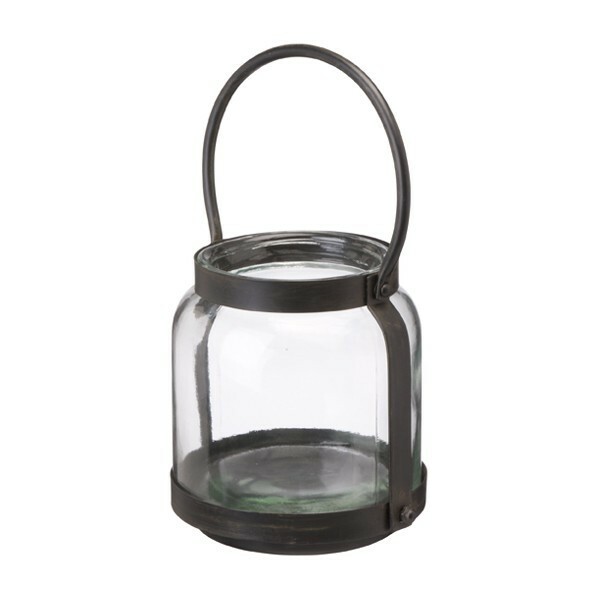 Antique effect chunky glass and metal lantern with circular handle. Lantern with circular handle, antique effect dark brown painted to give a sltightly distressed look. 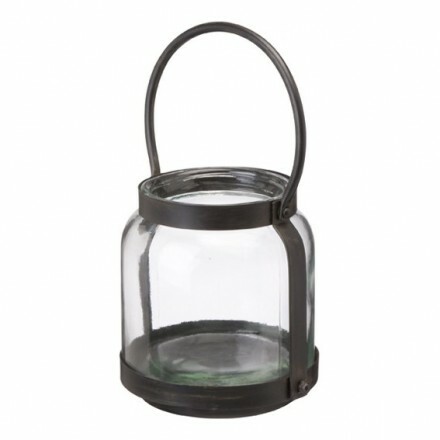 Features really chunky glass, Ideal for outside or conservatory, not suitable to leave outside. Height with handle in upright position approximately 32cm. Beautiful item that will look amazing with a small chunky church candle (not included). Dot them around the garden to provide light on those balmy summer evenings.